Partly cloudy skies. Low near 45F. Winds NNW at 10 to 20 mph.. Partly cloudy skies. Low near 45F. Winds NNW at 10 to 20 mph. 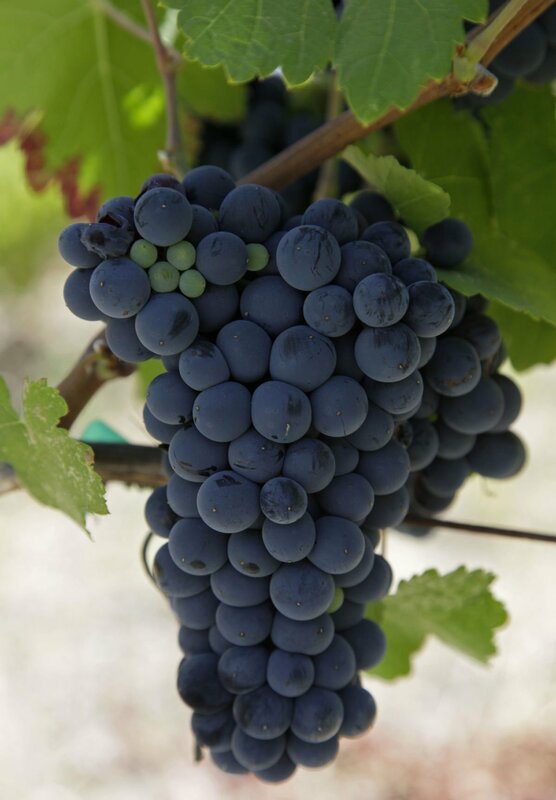 Malbec, Argentina’s “signature grape,” has become one of the most popular wines in the U.S. over the past 15 years, helping Argentina become the fifth-largest wine producer in the world. This variety of European origin has adapted well to Argentina’s terroir and delivers high quality and flavor interest at reasonable prices. Most of the wines can be had at $20 or less. It helps that the wines are accessible and eminently drinkable. Typically, you get up-front, round fruit and lush textures for little money. Argentina’s malbec producers have settled into a comfort zone of affordable, easy-drinking reds that increasingly are crowd pleasers. These wines hit the quality/value sweet spot. And Mendoza is its signature wine region. This high-altitude landscape at the foot of the Andes Mountains births many malbecs that are fine choices for everyday drinking, some appropriate for a fine meal, and a few that would reward time to evolve. Alamos, a winery with a 100-year history in Mendoza, specializes in fine values and is a brand to which many consumers turn. Its 2017 Malbec ($14) is one of Argentina’s most widely available and best everyday values. Full of raspberry fruit, it is nicely toasty and velvety. For a few dollars more, the 2016 Seleccion Malbec ($25), a special selection, shows more concentration and deeper fruit. Making wine for almost 130 years, Pascual Toso, based in the Maipú district of Mendoza, also is a notable value winery. The 2016 Reserva Malbec ($14) is pleasantly fresh with forward blackberry fruit and a touch of oak. Domaine Bousquet, a leading pioneer in the high-altitude Tupungato sub-region of Mendoza’s Uco Valley, stands out for its commitment to organic fruit — at every price point. Wines are made with minimal reliance on oak, enabling the fruit to shine through. The 2017 Malbec and 2017 Cabernet Sauvignon ($13) are notable for their exuberant freshness and vibrant aromatics, making for notably food-friendly wines. Argentina also can excel with higher priced wines. Finca Decero’s 2015 The Owl & The Dust Devil ($33) is the second vintage of this distinct red blend from one of Argentina’s top producers. The name is inspired by the winery’s local Lechuza owls, which stand watch over the estate vineyards and the periodic “dust devils.” A blend of cabernet sauvignon, malbec, petit verdot and tannat, it is rich yet well balanced, nicely focused yet sleek. Herbal and peppery accents complement the present berry aromas and flavors. Valentin Bianchi emigrated from Italy to Argentina in 1910 and established a small winery and vineyard in 1928 in the San Rafael district of Mendoza. Still family-owned, the operation has grown to produce a wide variety of wines. In my tasting, three wines from the “Particular” portfolio satisfied: deep, spicy, toasty 2015 Cabernet Sauvignon ($31); fresh, round, lively 2016 Malbec ($31); and structured, balanced, enticing 2016 Cabernet Franc ($40). Finally, the 2015 Enzo Bianchi ($55), a blend of cabernet sauvignon, petit verdot and malbec, offers a complex, balanced expression with tobacco, spices, floral notes and rich berry fruit. It’s fairly full-bodied with a round plush texture and a solid structure signaling further development for 10 to 15 years.